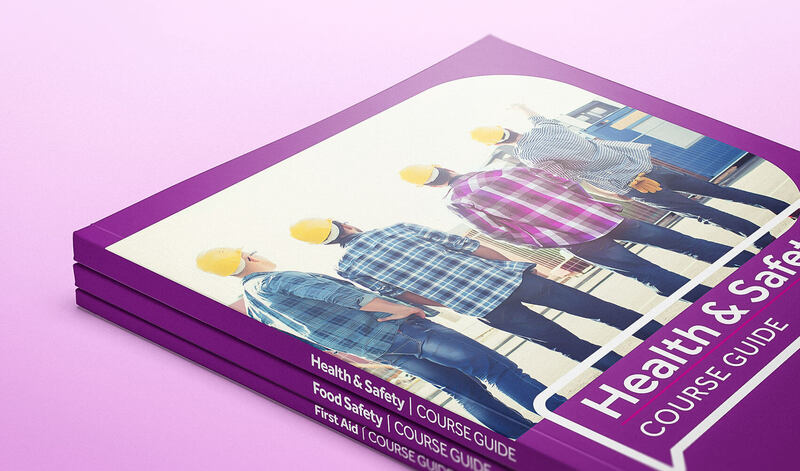 Purple Dog deliver courses in health and safety, food safety and first aid. They had one small problem: people thought that they trained dogs. What do you do when everyone assumes they know what you do… But they’re nearly always wrong? 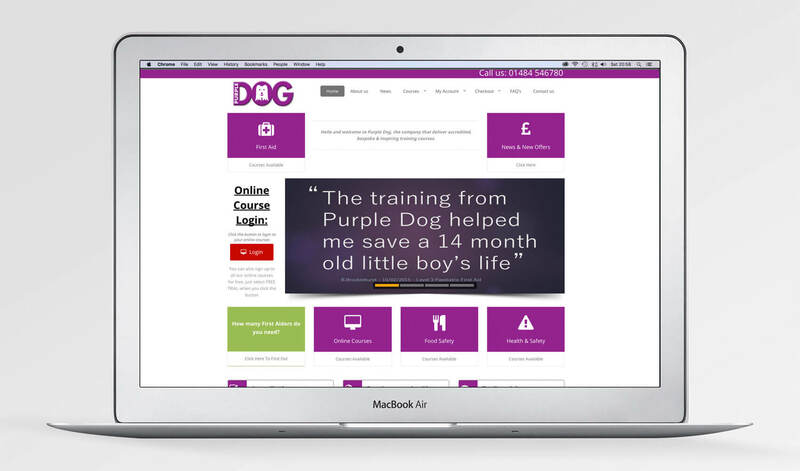 This was the issue facing Purple Dog: a (human) training company that many people thought were dog training specialists because of a confusing brand identity. Their branding didn’t accurately convey the serious professionalism behind the business. The literal take on the ‘Dog’ portion of the name not only misconstrued the company’s offer, it belittled the sometimes life and death difference their training makes. The dog had to go! But it wasn’t that simple. Instead, Aye! facilitated an entire shift – throwing the spotlight on the ‘Purple’ section of the brand. This was married with a new bespoke logo: the stylised universal symbol for help. A unique and relevant identity was born. 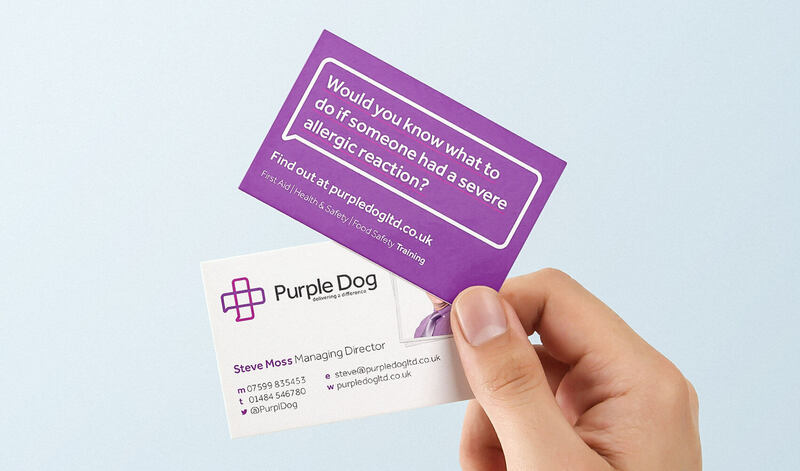 We approached Aye Creative as we wanted a company who would create a brand that showed our company for what it is. Nothing was too much trouble and their attention to detail was second to none. The re-brand has given us the image we were looking for to take our business forward, we would recommend this company without hesitation. The new identity was rolled out across print, social media and online. 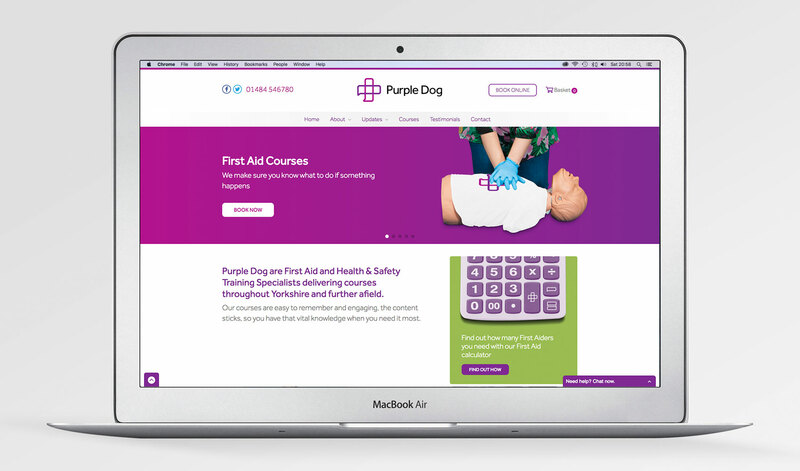 By ‘owning’ the colour purple in relation to training, the colour alone has become a byword and mental shortcut for quality training in the area Purple Dog operate. And no more phone calls about dog walking!